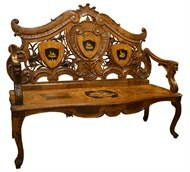 This Georgian inspired piece isn't terribly old, but it makes up for it in style. 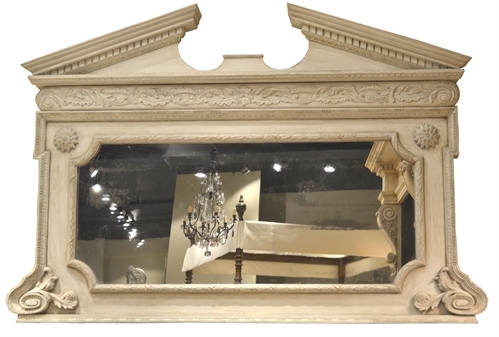 The lozenge shaped antiqued mirror is surrounded by dressy mouldings, lower foliate cartouches and an upper foliate band. The exaggerated pediment adds to its charms. It would be very chic hanging above s sofa, mantle, or even a pair of sinks in the master bath. It is in very good condition and has a nicely complex painted finish.